Well, it is the love month so if you haven’t found love yet, doesn’t matter you can always love yourself, right!? My first post for February is yes, related to love, of course. The love of family! Scanned my hard drive and as I browsed for pictures for topics for my next post, stumbled across these old photos of ours and upon checking my old blog posts, found out I don’t have any post about Nara, then the idea came! Our little one, just a year old when we went to Nara, the first time! And so read on! When talking about Nara, you will surely hear Todaiji or The Great Eastern Temple, considered to be the landmark of Nara Prefecture. It was constructed in 752 as the head temple of all Buddhist temples. 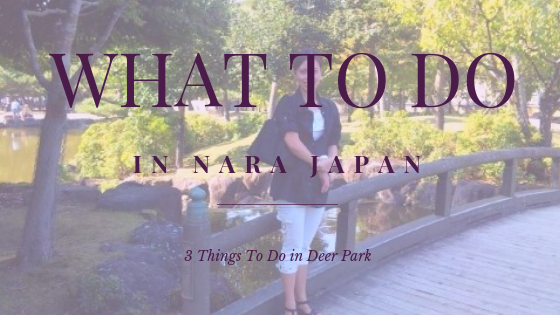 Nara is known in Japan as the place with lots of temples and considered a holy place and the symbols of this holiness are the Deers which you can see roaming at the adjacent Deer Park next to the hall. Find a place to stay without the cost!
) 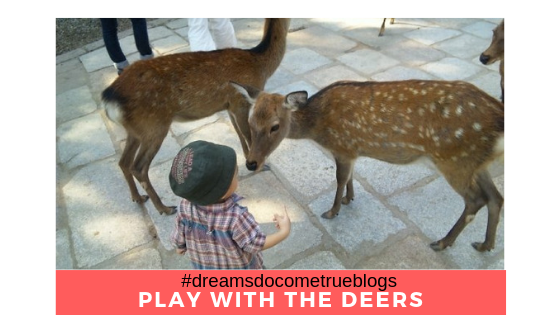 Play with the Deers (these are considered holy and whoever hurts them is punishable by Japanese law, so careful when being near them) When you bring food, they often grab it from your hands, so if ever keep it inside your backpack to be safe. Nevertheless, they are harmless. These guys love the shika senbei, a some kind of rice crackers made just for them. So, when a Shika (deer) approach you, it only means one thing. 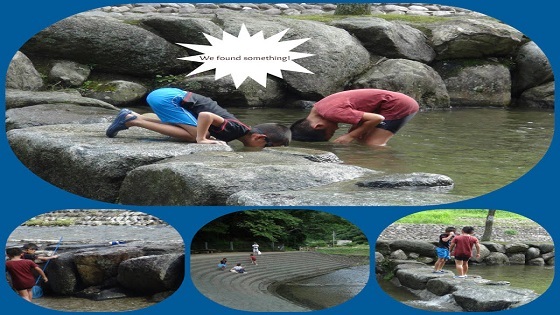 They think you have a senbei for them!
) 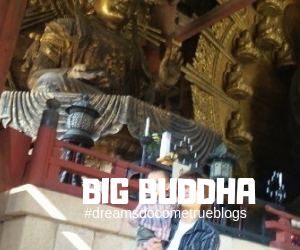 Experience the Awesomeness of the Big Buddha (Daibotsu) at the hall (Daibotsuden ). The building was being built mostly of wood. Be in awe with Daibotsus’ 15 meters tall, bronze statue and immerse yourself of the amazing wood carvings and sculptures that can be seen around it. Achieve spiritual enlightenment in the next life by the hole in the pillar! Get into the hole that is in the pillar and pilgrims believe that those who fit in that hole can achieve enlightenment in their next life. 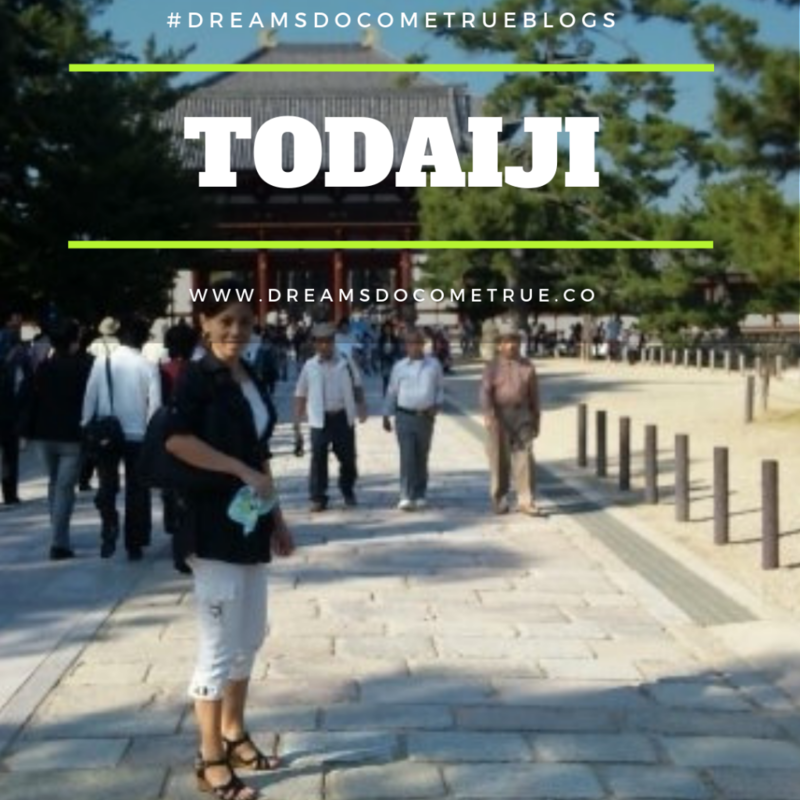 Located at the northern part of Nara Park is Todaiji Temple. You can access this through bus, or train. 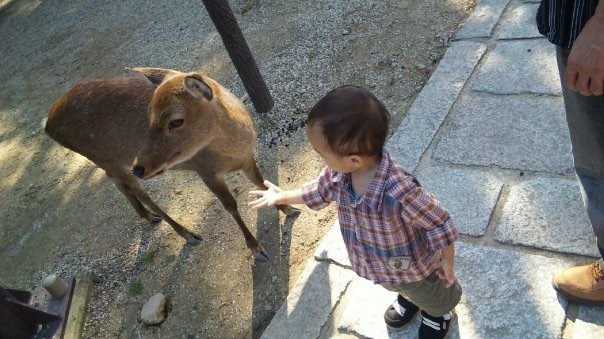 Wow, I had no idea that deer were so important in Japanese culture. When (or if) I go there, I will be sure to be careful as to not harm them. Good post! OH my gosh! I would love to play with the deer!! They are soooo cute! 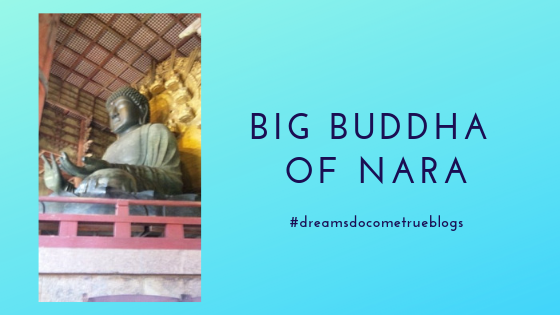 I think all three attractions can be covered in a single day when visiting Nara.I would love to get some enlightenment under the auspicious presence of’ 15 meters tall bronze Daibotsus! I have been to japan. But they look awesome. What a cool place to go to. I love that the deer roam freely and come up to you. While reading this makes me so excited to visit now or Japan. A lot of great things to do. A lot of great things to see. You give me so many reasons to want to make that trip. The deer look cuteeee 😀 I didn’t know the Nara prefecture has so much to offer, I will need to visit this when I finally visit japan 😀 just to offer some rice crackers to the deer. I would definitely spend time with those deers. They are beautiful and I’ve never seen one before. Oh WOW – this looks like so much fun!! Now I want to go there! I would love to experience the Big Buddha. Cool post! I would love to visit Japan someday and I’ve now got a few items on my to-do list, thanks! 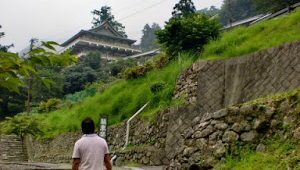 I have been living in Japan for seven years already but I never been to Nara. Scared of those paper-eating deers. Haha. This is really a love month so we all should spread love only. And deers are so cute animals and playing with them is such a fun experience. Nara is famous for its very courteous dear! But recently I read that few of these are becoming hostile. I wonder why? I really, really want to have a close deer encounter in Narra. It looks like a great way to bond with these harmless animals. 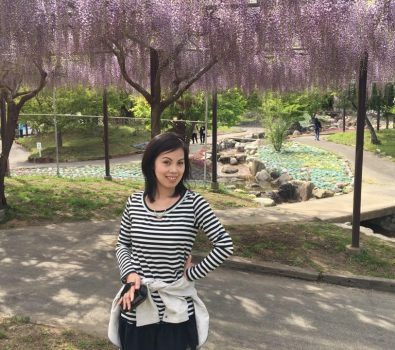 I really am enjoying your Japan escapade. I love deer, I wish they were as friendly where I’m at! Would love to visit Japan soon. I know there are a lot a nice place to visit. Thank you for sharing! This is one of the most impressive post, I have read in this year. There are lots really, cherry blossom seasons and autumn season is recommended. The country is all beautiful most during those times.